BUREAUCRATIC red tape is holding up a critical sewerage project for Howard, leaving the town "at a standstill" without the needed infrastructure. The ongoing delay has led the Fraser Coast Regional Council to write to the Department of Natural Resources and Mines, urging it to speed up decisions on a Native Title claim regarding the project's location. Residents have long pleaded for a proper sewerage network in the town to shore up the development of a $60 million Over 50s Lifestyle Resort and town motel. Major progress on the council's $6.7 million investment was meant to start in June 2017 but was held up due to land negotiations. The council initially indicated the delay would be until June 30, 2019 but the Chronicle understands mayor George Seymour wrote to the Department earlier this year about progressing the decision. 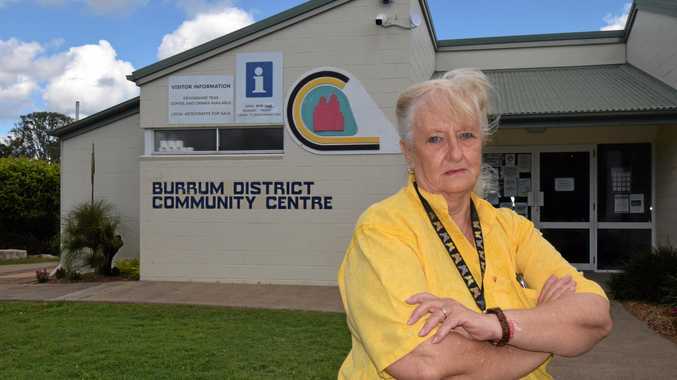 Burrum District Community Centre President Faye Whiffin said Howard was "essentially treading water" until they could get the necessary facilities to house these commercial developments. "Everybody is really waiting for this project to start, it means an awful lot," Ms Whiffin said. "We can't even have a motel in the town at the moment so tourism is significantly halted because we don't have anywhere for people to stay. "There's been a number of applications for a motel to go in here over the years and because of the high cost of the septic systems to adequately cope with something the size of the motel, that has been cost prohibitive." A DNRME spokesman said the council had been advised the Butchulla people may have native title rights over the land and had an obligation to address it. "The council has made the decision to compulsorily acquire the native title rights and interests, if any, in the land," the spokesman said. "The council has submitted an application to the department seeking approval to acquire the native title rights. "The department is currently assessing the application in accordance with the Acquisition of Land Act 1967." A meeting on the sewerage project will be held at the Burrum District Community Centre from 5.30pm tomorrow.